EPA has published a final rule that makes corrections and updates to regulations for source testing of emissions. The Agency has corrected typographical and technical errors, updated obsolete testing procedures, added approved testing alternatives, and clarified testing requirements. The revisions to testing regulations for air emission sources were proposed in the Federal Register on January 26, 2018 (83 FR 3636). The final rule, which goes into effect on January 14, 2019, was developed based on public comments that the agency received on the proposed rule. EPA has released a draft risk evaluation for Pigment Violet 29 (PV29), one of the first ten chemicals undergoing risk evaluation under TSCA, as amended by the Frank R. Lautenberg Chemical Safety for the 21st Century Act (Lautenberg Act). Upon publication of the Federal Register notice, the draft risk evaluation for PV29 will be available for public comment for 60 days in docket EPA-HQ-OPPT-2018-0604 on www.regulations.gov. With this action, the Agency will be providing the public with an opportunity to submit their feedback on the conclusions, findings, and determinations in the draft risk evaluation. EPA will use feedback received from the public to inform the final risk evaluation. The draft risk evaluation will also undergo peer review by the Science Advisory Committee on Chemicals (SACC) shortly. The SACC, the new Federal Advisory Committee required under TSCA, will provide scientific advice, information, and recommendations to EPA on chemicals regulated under TSCA. PV29 is a chemical used as a colorant, primarily in inks, paints, coatings, and plastics. In June 2017, the Agency released a scoping document for PV29 including the hazards, exposures, conditions of use, and the potentially exposed or susceptible subpopulations EPA planned to consider in its risk evaluation. EPA further refined the scope of the risk evaluation in June 2018 by issuing and taking public comment on a problem formulation document. Draft risk evaluations for the remaining nine chemicals will be released for public comment over the coming months. EPA plans to issue final risk evaluations for the first ten chemicals by December 2019. 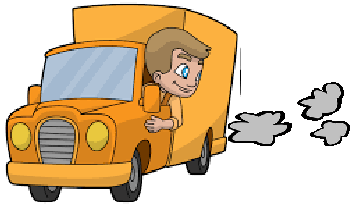 EPA Acting Administrator Andrew Wheeler launched the Cleaner Trucks Initiative (CTI) to further decrease nitrogen oxide (NOx) emissions from on-highway heavy-duty trucks and engines. He was joined by EPA Office of Air and Radiation Assistant Administrator Bill Wehrum, White House officials, state partners, labor representatives, and leaders from the trucking and engine manufacturing industry. The CTI will include a future rulemaking that will update the existing NOx standard which was last set in 2001 while also streamlining compliance and certification requirements. The Oregon Environmental Quality Commission voted 5 to 0 on Thursday to approve Cleaner Air Oregon rules that establish statewide health-based emissions limits for specific pollutants emitted by facilities. The rules also close gaps in the state's existing air quality rules that can create health risks for families and communities that live and work nearby. Gov. Kate Brown launched the Cleaner Air Oregon initiative in April 2016 in response to community concerns about exposure to potentially harmful air toxics emissions not regulated under federal or state law. In addition to closing gaps in existing air quality rules, Cleaner Air Oregon rules will provide the public greater access to air toxics emissions data and create more certainty for regulated facilities in addressing community health concerns. The Oregon Department of Environmental Quality and Oregon Health Authority presented rules to the commission after an extensive two and a half year public process with 2 formal comment periods and 11 public hearings across Oregon. In addition, national experts and a 23-member advisory committee of Oregonians provided input. The agencies also convened a fiscal advisory committee to review the potential economic impact of the proposed program. Fact sheets on the new rule are available here. Real Emissions Assessment Logging (REAL) is part of the amendments to the OBD (On-board Diagnostic) Regulations approved by the Board. OBD systems are mainly comprised of software designed into a vehicle’s on-board computer to detect emission control system malfunctions as they occur by monitoring virtually every component that can cause increased emissions. When the OBD system detects a malfunction, it alerts the driver by illuminating an indicator light on the instrument panel, and stores information that helps identify the faulty equipment, enabling technicians to quickly fix the problem. The Colorado Air Quality Control Commission approved new low emission vehicle (LEV) standards for new light-duty and medium-duty motor vehicles sold in Colorado beginning in the 2022 model year. The new standards are estimated to reduce carbon dioxide emissions by nearly 2 million tons annually by 2030. 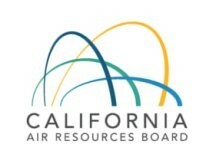 Following public hearings, the commission unanimously approved the new standards that incorporate specific provisions of the California low emission vehicle standards. The commission adopted Regulation 20, known as the Colorado Low Emission Automobile Regulation (or CLEAR), prompting Colorado to join 12 other states and the District of Columbia, which also have adopted California’s LEV standards. These states now make up nearly 40 percent of the new automobile market. Ohio EPA intends to develop rules that cover air pollution emissions from oil and gas facilities associated with unconventional oil/gas recovery and processing. These rules would cover similar equipment and requirements as is currently covered by the federal EPA's New Source Performance Standards (NSPS) for the oil and natural gas sector under 40 CFR Part 60, Subpart OOOOa. Typical facilities would include oil and gas well sites and gas compressor stations. The rules would cover both existing and new sources. The first step in the rule-making process is for Ohio EPA to identify that a rule needs to be amended, rescinded, or created. In response to EO 2011-01K, Ohio EPA has added an additional step to ensure stakeholders are brought into the rule process as early as possible. This additional interested party notification and request for information will allow for early feedback before the rule language has been developed by the Agency. Equipment installed at an oil and gas well site including dehydrators, heaters, compressors, storage tanks, equipment leaks - all of the typical equipment involved in processing the gas once it leaves the well. We also expect the rules to be a combination of NSPS requirements and Ohio EPA requirements as found in Ohio EPA's current General Permits for well sites and compressor station equipment. We expect the rules to cover all unconventional oil and gas facilities, unlike the NSPS which covers only "new, reconstructed or modified facilities. These rules will govern the owners and operators of all unconventional oil and gas facilities. Upon completion of the Early Stakeholder Outreach portion of this rulemaking, Ohio EPA will make any changes necessary to the rule language and make a draft of the rule language available to the public for a 30-day review. More information can be found in an ESO fact sheet. For more information, contact Michael Hopkins at mike.hopkins@epa.ohio.gov or 614-644-3611. Multi-Sector General Permits (MSGPs), commonly referred to as Industrial Stormwater Permits, must now submit Discharge Monitoring Reports (DMRs) electronically using the NetDMR system. Required samples must be collected before December 31, 2018, and the sampling results must be reported to the TCEQ by March 31, 2019, using the NetDMR electronic reporting system. Facilities in all sectors that are required to meet numeric effluent limits for hazardous metals where sample results indicate an exceedance of any constituent listed. If you are required to submit MSGP DMRs in Texas and you are unable to report electronically, you can submit a Request for Electronic Reporting Waiver form (TCEQ-20754). The TCEQ may grant a Temporary Waiver from the electronic reporting rule in limited cases. A separate waiver form is required for each authorization. 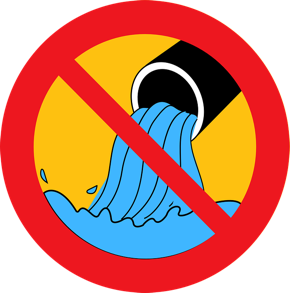 Waiver forms may be obtained by contacting the Stormwater Processing Center at 512-239-3700. To submit your DMRs electronically, you must access the NetDMR system through the EPA’s Central Data Exchange (CDX). Please visit the NetDMR Support Portal webpage to find information on how to create an account. Facilities in Texas can also contact the TCEQ’s NetDMR help line at 1-855-906-MSGP (6747) to receive assistance unlocking an account, filling out a DMR, or understanding the permit requirements. The next NetDMR training session in is scheduled for Wednesday, December 5, 2018, 12:00 pm - 2:00 pm (CST). To register for the training visit this web site. Two operators of USA Brass, Inc., a former Bozeman company that cleaned and recycled spent ammunition casings, were sentenced this week in U.S. District Court after they admitted to illegal discharges of lead contaminated water into a public sewer system, U.S. Attorney Kurt G. Alme announced. 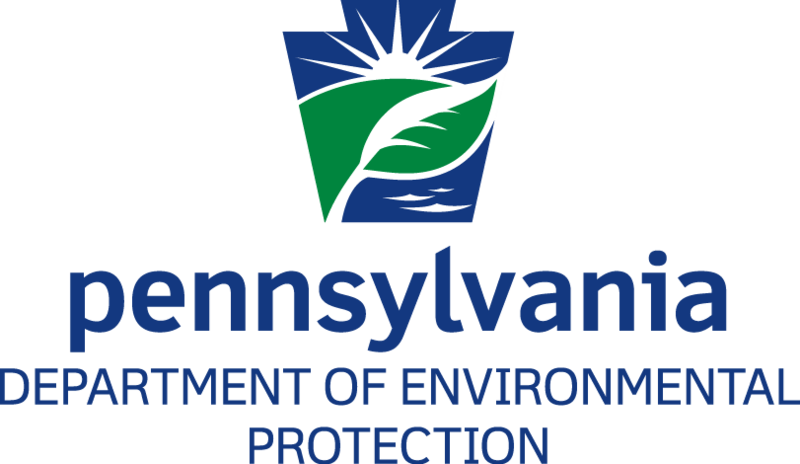 The Pennsylvania Department of Environmental Protection (DEP) announced that EQT Production Company (EQT) has paid a $294,000 civil penalty prescribed in a consent order and agreement for Clean Streams Law violations in Allegheny County. On January 29, 2017, EQT was using horizontal directional drilling (HDD) to bore a hole under State Route 136 for the construction of its Monongahela to Rostosky Waterline located in Forward Township, Allegheny County. During boring activities, EQT inadvertently bored into the abandoned Gallatin mine causing a discharge of abandoned mine drainage (AMD) into the Monongahela River. EQT planned to use the waterline to transport freshwater from the Monongahela River to the Rostosky well site for use in unconventional well development. Up to the time that EQT stopped the discharge on January 31, 2018, approximately four million gallons of AMD were illegally discharged through the waterline borehole to unnamed tributaries to the Monongahela River, the Monongahela River, and associated wetlands. When EQT applied for an Erosion and Sediment Control General Permit authorization for earth disturbance associated with this waterline project in July 2016, EQT stated that several abandoned coal mines were within the limit of disturbance of the site. EQT had relied on regional mapping that generally described mine pools as “not flooded or unknown” but did not undertake any further investigation. There were seeps of orange water near the area of the waterline borehole. EQT has stated that since the incident, it has implemented an internal multi-department process to prevent future mine water releases. EQT also constructed a subsurface collection and conveyance system to reestablish the collection and drainage system in place at the time of the release. This and all violations in the COA were corrected by August 17, 2017. EQT also agreed to establish a $100,000 fund with the Clean Streams Foundation to provide for the maintenance, operation, and replacement of the system. 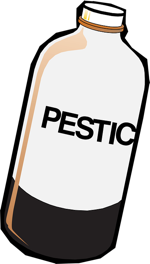 Three individuals who operated Flexabar Corporation, a paint and coating manufacturer in Lakewood, New Jersey, pleaded guilty yesterday in federal court to the illegal production and distribution of pesticides. 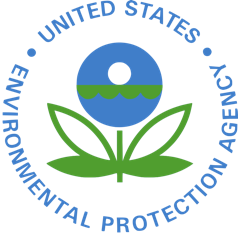 Assistant Attorney General Jeffrey Bossert Clark and EPA Office of Enforcement and Compliance Assurance Assistant Administrator Susan Bodine made the announcement. Andrew Guglielmo, Flexabar’s Chief Executive and Financial Officer; Richard Guglielmo Jr., Flexabar’s President; and Hamdi Latif, the company’s Technical Director, pleaded guilty in federal district court in Trenton, New Jersey, to felony charges of having conspired to violate federal pesticide laws and to evade EPA’s ban on the use of the marine toxin tributyltin (TBT). During the 1970s, TBT was used on boats, docks, crab pots, and other fishing gear in antifouling paint that prevent the growth of barnacles, seaweed, and mollusks. By the 1980s, scientific studies showed TBT to be extremely toxic to marine life, causing shell deformation, reproductive aberrations, endocrine disruption, and bio-accumulation in predator species including marine mammals. In the early 1990s, EPA began to limit the use of TBT to reduce its impact on marine life. In 1991, EPA directed Flexabar to clarify the language on its registered TBT labels to assure that the product was not used as an antifouling treatment on surfaces in contact with water. In spite of repeated notices from EPA, the defendants evaded restrictions on their company’s TBT pesticides and continued to produce and sell TBT antifouling paints to the fishing industry. They manufactured and sold TBT for marine uses after such applications were restricted by an act of Congress in 1988, by EPA’s labeling requirements in 1991, by an international treaty in 2001, by EPA’s TBT product cancellation in 2005, and by EPA’s subsequent notices. Even after February 2013, when EPA banned the sale of Flexabar’s TBT pesticides for any application, the defendants continued to surreptitiously purchase TBT, to manufacture more TBT antifouling paint, and to illegally sell it for use as a marine pesticide. Each defendant is subject to a maximum of up to five years imprisonment and a fine of up to $250,000, or twice the financial gain they derived from the offense. Sentencing for Richard Guglielmo Jr. is scheduled for February 25, 2018; sentencing for Andrew Guglielmo is scheduled for February 26, 2018; and sentencing for Hamdi Latif is scheduled for February 27, 2018. Maryland Attorney General Brian E. Frosh joined a coalition of 16 states in opposing the EPA’s proposal to roll back important protections from harmful greenhouse gas pollution. In comments sent to the EPA lastt Thursday, the coalition argues that the agency’s plan to throw out a rule designed to protect against the release of extremely potent greenhouse gases, such as hydrofluorocarbons (HFCs), is unlawful and a serious threat to public health and the environment. HFCs, which are commonly used in refrigeration, air-conditioning, insulation, fire extinguishing systems, and aerosols, are thousands of times more potent for global warming than carbon dioxide and are the fastest growing source of greenhouse gas emissions in the United States and globally. In 2016, the Obama administration adopted a rule requiring technicians to prevent emissions of HFCs when they repair and maintain. The 2016 rule also requires technicians to undergo certain technical training and certification requirements. The requirements help protect the climate from damaging HFC emissions and reduce emissions of chemicals that harm the ozone layer. Last month the EPA published its proposal to roll back the rule, claiming that the agency does not have the authority to require these protections for maintenance and leak-repair of appliances that contain HFCs. The EPA also sought comment on whether it should roll back its technician training and certification programs. The coalition argues in its comments that the EPA has ample authority under the federal Clean Air Act to enforce these requirements and that failing to do so would contribute to global climate change, which is already causing forest fires, heat waves, sea-level rise, and other impacts that are imposing significant harm on states. The EPA failed to provide any reasoned basis for changing its 2016 position. The EPA is also proposing to illegally delay the scheduled January 1, 2019, deadline for regulated businesses to comply with certain requirements while the agency finalizes its rollback of the rule. The coalition argues that agencies cannot delay a rule simply because it is under reconsideration, and that the EPA has failed to explain why industry needs additional time to come into compliance. In addition to Maryland, the comments were signed by Attorneys General of California, Delaware, Iowa, Illinois, Maine, Massachusetts, New Jersey, New York, North Carolina, Oregon, Vermont, Virginia, Washington, and the District of Columbia, as well as Minnesota through its Minnesota Pollution Control Agency and the California Air Resources Board. A former Central Kentucky businessman, who currently resides in Austin, Texas, was sentenced in U.S. District Court last week. 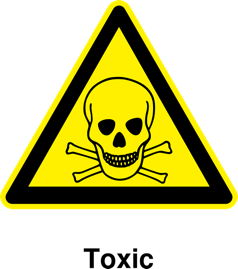 Kenneth Gravitt, 63, was sentenced, to 36 months, by Chief U.S. District Judge Karen Caldwell, on convictions relating to the illegal storage, transportation and disposal of hazardous waste. Gravitt operated Global Environmental Services (GES), in Georgetown, Kentucky, which was in the business of recycling electronic waste. The facts established that beginning around 2013, GES contracted with various businesses and entities to collect and recycle large numbers of devices containing CRTs. Over time, as GES took in far more of these electronic devices than it could process, it began to send crushed CRTs for disposal, to a Central Kentucky landfill that did not have a license to handle such materials. On a separate occasion in October 2015, GES illegally buried large quantities of CRT bearing devices behind its Georgetown facility. Investigators also found large numbers of CRTs in GES managed warehouses in Cynthiana and Winchester. The estimated costs to clean all the sites was several million dollars. EPA announced Gilbert, Ariz.-based Vivid Distributing will pay a $200,000 penalty for violating the Clean Air Act. EPA alleges the company installed, manufactured and sold auto parts known as defeat devices, which bypass or render inoperative required emissions control systems. Seattle-based electronic waste processor Total Reclaim has agreed to settle two penalties with the Washington Department of Ecology for illegally disposing of waste by exporting it to Hong Kong, and for improperly storing e-waste. Under the settlement, Total Reclaim will pay $83,625 in penalties and pay another $300,000 to the Western States Project, an interstate consortium that supports environmental enforcement education and training.